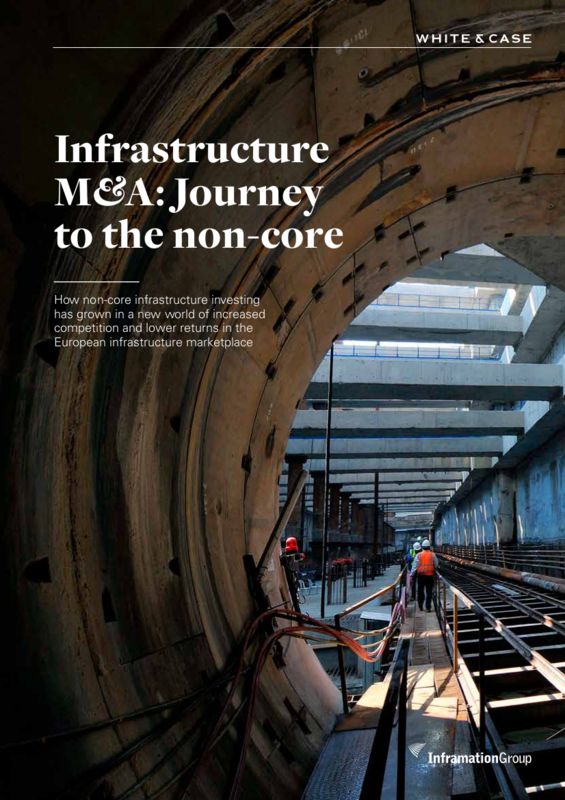 We are pleased to present Infrastructure M&A: Journey to the non-core, published in association with White & Case. Using data from InfraDeals, the report explores the shift in infrastructure dealmaking by institutional and infrastructure investors alike in the non-core infrastructure space. We investigate where the key battlegrounds are in the increasingly competitive infrastructure landscape; the opportunities and challenges for both sets of investors; and we ask how funds can survive and thrive in this brave new world of infrastructure dealmaking.